Study in asymptomatic subjects, Werium sensor evaluator reliability test. 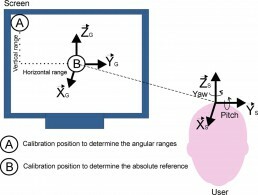 Human-Computer Interaction for Users with Cerebral Palsy Based on Head Orientation. Evaluation of cervical posture improvement of children with cerebral palsy after physical therapy based on head movements and serious games. MouseField: Evaluating a Cursor Pointing Facilitation Technique for Cerebral Palsy.